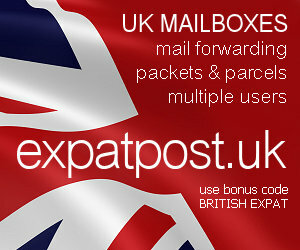 British Expat Forum • View topic - Travel from UK Airports to Bourgas or Alternatives! Travel from UK Airports to Bourgas or Alternatives! I am looking at purchasing a property in thge Bourgas region but seem to be having trouble trying to find reasonably cheap flights to be able to visit on a regular basis. Can anyone advise me where to look? Thanks. New member, so bear with me if response no longer appropriate. My wife and I are just about to complete on buying a property near Sunny Beach and are trying to find cheap flights from Scotland to BG, what a nightmare!!! It seems the cheapest are Whizz who fly from Luton but not on a regular basis i.e. once a week!! Apart from that BA fly from Gatwick but you will need to book well in advance to get a reasonable price. Brian-love just realised your a fellow Scot. Im from Glenrothes in Fife and have spent many a happy sunday at Blochairn Car boot sale in Glasgow. Yes flights to Burgas are a nightmare from Scotland. Yes Whizz are now flying all year round now to Burgas which tends to suggest it may become an all year round resort. Plovdiv airport opens 11 December apperently and im not sure about Varna. I can try and find out for you if you like.